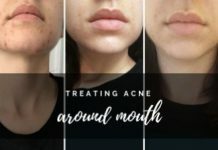 In the majority of cases teenage acne actually plays by the rules and goes away once puberty is over. While hormonal imbalances can continue into the late teens and early twenties, the severity and regularity of acne gradually reduces. For many young adults this is a huge relief, with years of low self-esteem and embarrassment finally over. However, there are plenty of adults who unfortunately end up suffering for many more years. The underlying causes are still very similar, but that doesn’t make it any easier to treat. When it comes to choosing treatment options you will generally want to try over the counter options first. Going straight for heavily medicated products is complete overkill most of the time. And in the long run it’s not a suitable or advisable option. 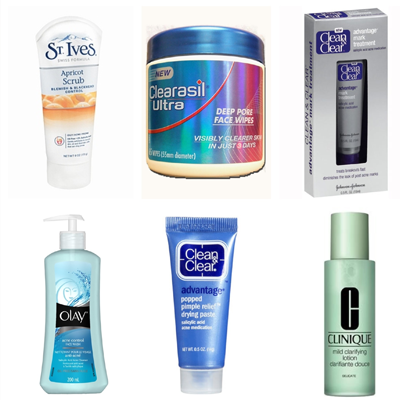 To help you find the best adult acne products, we compiled the below list of standard drug store choices. They mainly use natural ingredients and in so many cases will work extremely well. 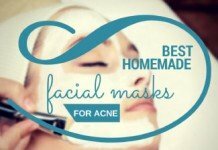 However, if these still fail to control your acne outbreaks, then you should consider the second list of prescription options and talk to your doctor. One way or another, you will find an effective solution. If you're in a rush, below are the Best Acne Treatment for Adults, hands down! 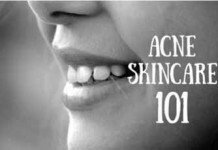 How Long Does Adult Acne Last? Adult acne is way more difficult to deal with than normal acne. And there are chances of you getting acne in adulthood even if you haven’t suffered from acne in your teen years. Fluctuations in Hormone Levels – Hormonal imbalance is the major cause of break outs in adults. In both men and women, fluctuations in the hormone androgen lead to the stimulation of sebaceous glands to overproduce sebum. 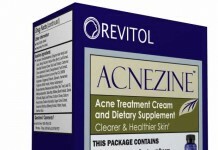 This results in pimples and acne. 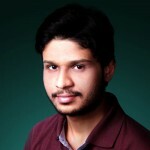 Men experience hormonal imbalance when in extreme stress, on the other hand, women suffer from hormonal fluctuations around menstruation, during pregnancy, menopause and after starting or discontinuing birth control pills.Since, adult acne is caused mainly by hormonal imbalance; it is different from normal acne. Alongside that your body produces more androgens (a hormone that gives you male traits) and testosterone. These hormones drive the oil glands to produce sebum, which result in painful blemishes. Family History – If anyone in your family suffers from adult acne you are more likely to suffer from it due to genetic and heredity factors. 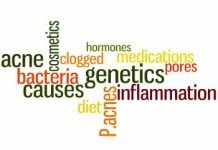 Some people have genetic disposition for developing chronic acne. 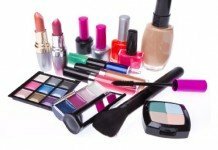 Use of Wrong Skin Products – Review your skin care products and check whether they are non-comedogenic (oil-free) or not. For if they are not they will clog your pores. And they might be the reason of you suffering from horrible break outs. Also check if the product you’re using is not drying out your skin. Because if your skin dries out your sebaceous gland produce excess oil to balance the skin moisture level. This again clogs your pores. Therefore, choose products that suit your skin type. Adult acne is a great confidence shaker especially if you have important professional roles to play in society. For this reason, the question “How long does it last?” seems to be the leading frequently asked question from a dermatologist. There isn’t any specific time span. Your acne might take time to clear up: from several days if it’s in the form of pimples to years if you have cystic acne. 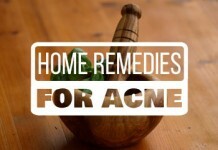 And it depends on what measures you are taking when it comes to the treatment of adult acne. Are you using any adult acne products? Have you consulted your dermatologist for proper comprehensive treatment? 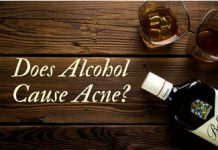 If the answer to these questions is yes, you need to worry less because these zits and blemishes won’t last forever if you take proper medications and treatment. 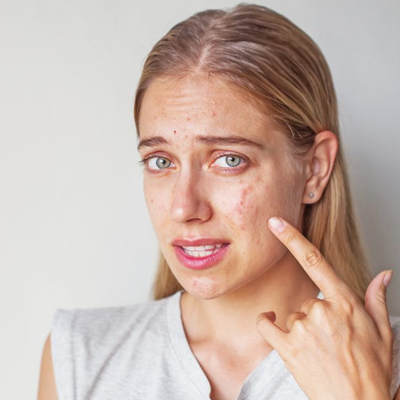 “As we age and our hormones settle down, the prevalence of adult acne does dissipate,” says Amy Derick, MD, a fellow of the American Academy of Dermatology. Most significant factor that contributes in clearing your zits and blemishes is to keep track of your hormone levels and regularly visit an endocrinologist alongside a dermatologist. Until or unless you do not maintain a balanced environment inside your body, even the best acne treatment creams won’t solve your problem completely and all the pimples and blemishes will sprout out again. Misumi Skincare is the hottest player in the acne industry, especially for individuals dealing with adult acne. The founder of this company saw that not many acne products really offered to nourish and protect the skin from premature signs of aging and created products that fill this gap. 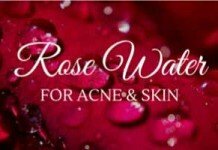 They thought that people shouldn’t have to choose between fighting acne and anti-aging so they created products that allow you to have it all. We’ve tested their product against big brands like Exposed, Murad, and Proactiv and the results are unbelievable. Misumi really delivers high quality products that easily beats out its competitors. Their Complete Clear 3-Step System is the best deal they have, and the products in the kit are perfect for adult acne. The System comes with their signature AHA Cleanser, their Pore Purifying Toner, and Wrinkle-Free All Day Moisturizer with SPF 30. If you ask us, these three products alone are enough for anybody’s skincare routine. You can cleanse, treat, hydrate, and protect with these three gems. The AHA 10% Skin Perfecting Cleanser is an excellent exfoliator for a deep cleanse and to unclog pores. Glycolic Acid, the active ingredient, is one of the best exfoliants out there because the molecules are so small allowing it to penetrate deeply into the skin to unclog pores without drying or irritating the skin. Next, the Pore Purifying Toner will help to prevent future breakouts by tightening pores and keeping impurities out of the way. This exceptional toner is packed with antioxidants and benefits from natural acne-fighting ingredients like Witch Hazel Extract, Lavender, Lemon Peel, Sage, and more. It’ll help prevent severe acne scar and uneven skintone, as well as controlling oily skin. Lastly, the Wrinkle-Free Moisturizer doubles as a hydrating cream as well as a sunscreen to protect your skin from damaging UV rays. The three products are sure to clear your skin, as well as restore youthful and radiant skin. What products come in the 3-Step System? This is their signature cleanser. It combines Glycolic Acid with natural ingredients like Lemon, Grapefruit, Japanese Plum, Chamomile, and Seaweed Extract to clear existing breakouts and provide the skin with a deep cleanse. This toner is miracle in a bottle. It contains a blend of a variety of herbal and citrus extracts including natural acne-fighting ingredients like Witch Hazel, Sage, and Lavender. The toner helps to shrink pores, manage oily skin, and balance pH levels. The 3-in-1 moisturizer that simply does it all. This moisturizer contains zinc oxide (a great acne-fighting ingredient and a safe alternative to harsh chemicals found in most mainstream sunscreens) for protection against UVA (what causes wrinkles) and UVB (what causes sunburn). It also locks in moisture for all day hydration. If you are battling body acne, this Blemish Clear Body Wash is definitely a must have in your routine. We’ve heard astounding reviews about this one and when we checked it out, it really works to calm breakouts and get you clearer and smoother skin. We also love the added Lavender oil which helps to prevent severe acne scarring. Not suitable to those who are allergic to AHA or Glycolic acid. They run out of stock pretty often and you sometimes have to wait a few weeks for the products to come back in stock. Murad Anti-Aging Acne Kit is a three step regimen specifically designed for adult acne sufferers. This starter kit delivers acne-fighting and age-defying technology to reveal a healthy, clear and acne-free skin. This is a high performance solution that activates anti-acne treatment and also works after it has been rinsed off as it penetrates deep into pores. It is a clinically proven formula that fights stubborn acne and stimulates collagen production to give you a smooth and younger looking skin. This remarkable moisturizer helps keep your skin moisture balanced and boosts hydration. It saves your skin from drying due to the effect of Acne Clearer. It includes SPF 20 to provide you sun protection. This needs to be applied under the eyes and on the brow bones to even out your skin tone. Suitable For: Normal, Combination and Dry Skin. The time release acne clearer is formulated with 0.5% Salicylic Acid and acts as a major component in dissolving the dead keratin plugs and regulates the skin cells to maintain a healthy balance. The presence of ascorbic acid ensures proper removal of excess oil and dirt from the surface of the skin providing your skin a barrier from acne-causing bacteria. Glycerin being an emollient and a major ingredient in Acne and Wrinkle Reducer treats all the oily skin conditions and fills all the wrinkles and fine lines, minimizing their appearances. The Acne and Wrinkle Reducer is rich in amino acids that support the cells to produce more collagen and elastin that leads to a much younger looking skin. It provides a 3 in 1 moisturizer that controls acne, fights wrinkles and hydrates your skin alongside providing UV rays protection. This Starter Kit includes a variety of natural botanicals including Sesame Seed Extract, Willow Bark Extracts, Water Melon Fruit Extract and Clover Flower Extract that act as anti-bacterial agents without being harsh on your skin. Time Release Acne Clearer and Anti-Aging Moisturizer contains huge amount of alcohol which might be abrasive for you if you have sensitive skin. The presence of alcohol might result in excessive peeling or burning of the skin. If you have extremely oily skin you need to apply as little of the moisturizer as possible. This product is really expensive. Exposed Skin Care Acne Kit contains components that combine the power of Science and Nature to treat acne and pimples and guarantees a clear skin within 30 days. The facial cleanser is a Salicylic Acid Acne Treatment fused with pro-Vitamin B5 that gently cleanses and detoxifies your skin without causing it to dry out. 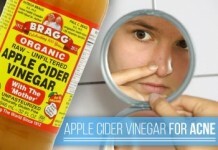 This tonic penetrates deep into your pores to give you a blackhead and whitehead free skin. Also maintains your skin pH balance. This acne treatment serum is based on Benzoyl Peroxide which is an important ingredient for fighting acne and prevents further blemishes and pimples. This clear pore serum is a light-weight gel for controlling zits and pimples and rebalances your skin while you sleep. It is a microdermabrasion cloth that provides exfoliation through removal of dead cells, oil and dirt from the skin. Suitable For: Normal, Sensitive & Oily Skin. This acne kit involves the Salicylic Acid treatment with a 0.5% to 1% concentration. Salicylic Acid acts as a Keratolytic (peeling) agent that sheds the dead cell layer of skin giving you a clean skin. The acne treatment serum contains Benzoyl Peroxide that unclogs the pores and prevents bacteria from growing and causing acne pimples and cystic lesions. The presence of citric acid and pro-Vitamin B5 in the facial cleanser helps in detoxification of skin and controls the excess oil production from the sebaceous glands. The components include Glycerin that helps in you getting rid of your wrinkles and fine lines along with your acne scars. 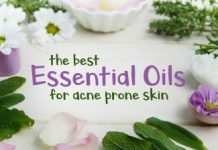 It includes many anti-oxidants and botanical herbs that heal and soothe your skin such as witch hazel, green tea extract, sage leaf extract and tea tree oil. One kit lasts almost 60 days so the price is worth it. This kit contains components that contain fragrance which might not be suitable for your skin if you are allergic to Parfum. The serum contains phenoxyethanol which is an aromatic alcohol and can cause irritation and burning on sensitive skin. It is not suitable for dry skin and can cause severe peeling on dry skin. 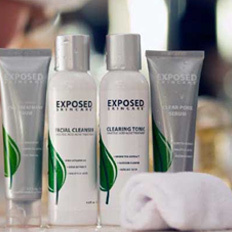 Unlike other Acne Clearing System, ClearPores Cleansing System comes with a formula that cleanses your body both inside and out. This cleansing system includes herbal supplement that maintains the internal condition of your body and keeps you healthy, keeping your acne and break outs at bay. This herbal supplement is prepared from naturopathic methods to promote the detoxification of body’s waste products and toxins to preserve a cleansed liver and blood purity level. This face wash gently eliminates all the oil and bacteria buildup on your skin and clears your clogged pores. This is a moisturizing cream that provides anti-inflammatory relief and protects you from further break outs. 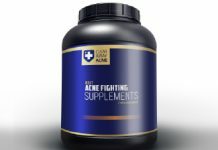 The herbal supplement fights acne from the roots. 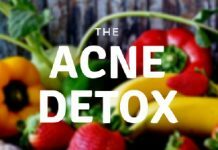 It keeps the internal environment of the body healthy, as adult acne flare-ups are usually concerned with hormonal imbalance, improper digestion and liver functioning. The herbal supplement has no side effects as it does not contain any chemical formula or medication. It is solely comprised of herbal extracts. The facial wash consists mainly of Glycerin that promotes cell regeneration and sheds off the dead skin cells swaying away all the acne-causing bacteria and making your skin clearer. The facial wash removes the excess sebum and existing whiteheads, blackheads, blemishes and pimples with the power of Salicylic Acid. ClearPores Protection Cream acts as an oil-free moisturizing cream that has been formulated with alpha and beta hydroxyl acids to save you from that dry, flaky and tight feeling after using the facial wash. The ClearPores Facial Wash contains alcohol in abundant quantity and it can be harsh and abrasive for sensitive skin. As alcohol has a drying effect, you should avoid frequent use of this facial wash if you have dry skin. It contains parabens and must be avoided by you if you are specifically allergic to paraben. AcneFree 24 Hour Acne Clearing System is designed with advanced micro-benzoyl peroxide to provide you relief from painful acne and related symptoms throughout the day and night without aggravating your skin. This purifying cleanser is formulated with gentle benzoyl peroxide micro-beads that thoroughly exfoliate your skin removing pore-clogging acne bacteria and sebum buildup. Fused with Witch hazel and Chamomile and Aloe vera extracts this renewing toner revitalizes and leaves your skin fresh. It also tones your skin and balances the oil production. This repair lotion is a light-weight anti-bacterial moisturizing formula that easily absorbs into your skin and prevents you from acne flare-ups all day long. This system’s cleanser contains Benzoyl Peroxide that goes deep into your pores and kills the P.acnes bacteria that causes acne and pimples. It contains Dimethicone i.e. a skin conditioning agent and heals your skin from inflammation and redness caused by breakouts. The renewing toner constitutes different herbal extracts that serve as natural astringents and provide soothing effect that include the Witch Hazel, Ginger, Chamomile and Aloe extracts. The Repair Lotion consists of Stearic Acid that helps control your skin’s moisture balance and ensures complete hydration. Chamomile is hypoallergenic and holds ability to neutralize skin-irritants. Besides, it provides anti-bacterial, anti-fungal, anti-inflammatory and antiseptic properties which make the repair lotion very gentle. A small quantity goes really long and does not make you skin greasy due to drying effect of Benzoyl Peroxide. If you are sensitive to Benzoyl Peroxide avoid consuming this product as it can cause you irritation. Consult your dermatologist first. If you are using any topical medications besides this product you might face excessive dryness and redness on your skin. This product contains alcohol and multiple derivatives of parabens that might lead to burning or peeling of skin in severe cases. Neutrogena Advanced Acne Therapy System is a three-step system that is prepared by combining various medicines to make it the best acne product for adults. This system requires you to apply all the three products it includes for maximum efficacy. Deep cleanse and exfoliate your skin, eliminating all the dead cell residue and excess oil build-up. Also leaves your skin fresh and nourished. Prepared with the best anti-acne ingredients this Acne Control Lotion engulfs can-causing bacteria giving you relief from pimples and blemishes. This non-greasy lotion provides sun protection to your acne-prone skin and eliminates dryness and irritation to calm your skin. The Skin Polishing Acne Cleanser and Acne Control Lotion provides you maximum protection from acne, blemishes, blackheads, whiteheads and even cystic acne as they contain Salicylic Acid and Benzoyl Peroxide as their active ingredients. This kit includes a separate day and night therapy. The Acne Control Lotion must be used at night while the Oil-Free SPF 15 Lotion is to be used at day time to provide protection from UV light. The presence of Panthenol in the acne cleanser promotes healing and reduces itching and irritation caused by breakouts. It also activates the cell regeneration process for the removal of dead cells. The acne cleanser also includes Menthol which provides a cool refreshing effect after application which also soothes and neutralizes your skin inflammation. The Oil-Free SPF 15 Lotion can be worn alone or even under makeup after cleansing of your skin. 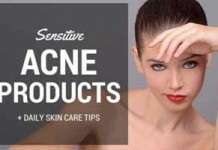 The Acne Cleanser contains alcohol so avoid it if you have a sensitive skin or reduce its frequency. This product contains an alpha hydroxyl acid that might increase skin’s sensitivity to sun so limit sun exposure as much as possible to avoid sunburn. This product contains paraben and fragrance that might be abrasive for your acne-prone skin. Due to the presence of Benzoyl Peroxide this product has great tendency to cause dryness on your skin so set your frequency properly. La Roche-Posay Dermatological Acne System formulated in USA is one of its kinds as it holds separate therapy for each of the vicious reasons you face acne and provides effective results in a comparatively shorter period of time! This medicated gel cleanser mainly constitutes Salicylic Acid that detoxifies your skin from oil to aid your blemishes and purifies your skin completely without being harsh on it. Clarifying Solution provides you freedom from clogged pores by shedding dead cells and sebum and bacteria build up. The dual action acne treatment specifically targets the acne and provides Benzoyl Peroxide treatment. Suitable For: Dry to Oily Skin. The medicated gel cleanser thoroughly exfoliates your skin and removes excess oil and cell debris that cause acne. The kit features a clarifying solution that unblocks your pores swiping all the bacteria trapped that specifically helps you in clearing your stubborn blackheads and whiteheads. The citric acid present in cleanser helps clear your pores and give your skin a natural glow as it acts as a whitening agent and removes dark spots and fights pigmentation. It contains silica which is a skin conditioning agent and it balances skin hydration and does not let your skin dry. This product is non-comedogenic, paraben-free and fragrance-free which makes it suitable for nearly all types of skins. Reveals skin with minimized acne and clear pores within a week. The clarifying Solution contains alcohol so avoid using it if you are allergic to alcohol. Less sun exposure needs to be maintained as this product makes you sensitive to the UV radiation due to presence of Salicylic Acid. The dual action acne treatment needs to be stored at 20-25 degrees centigrade for stability. Proactiv+ 3-Step System is a revived treatment that enforces killing of P.acnes bacteria and clearing of acne faster than ever adding perfect sheen to your skin. Essenced with the power of Benzoyl Peroxide it gently exfoliates your skin and removes all the impurities including oil and dirt. It is designed specifically from treatment of adult acne by inducing blemish-fighting gel directly into the pores to unclog them. This medicated moisturizer balances your skin’s moisture, brightens face tone and diminishes post acne marks. Suitable For: Oily, Combination and Sensitive Skin. The skin smoothing exfoliator is combined with glycolic acid alongside benzoyl peroxide to inhibit P.acnes bacteria growth and helps skin in getting rid of dead skin cells. The presence of Dimethicone traps moisture in your skin to reduce the drying effect of Benzoyl Peroxide and promotes cell hydration. Glycerin, best known for treating oily skin conditions heal irritation, inflammation, blemishes and provides anti-aging effect. The Salicylic Acid in complexion perfecting hydrator stimulates cell turnover and Kojic Acid brightens your skin tone. The hydrator stimulates collagen and elastin production to give you fresh and rejuvenated skin, free from adult acne. It is paraben-free and includes anti-oxidants to soothe your skin. The complexion perfecting hydrator comprises alcohol and you should avoid it if alcohol causes adverse reactions on your skin. This system includes fragrance which might lead to irritation on sensitive skin. Topical Anti-bacterials and Retinoids are initially prescribed by dermatologists for treating mild to moderate acne. Effective anti-bacterials include benzyl peroxide along with clindamycin and erythromycin that act as anti-microbial agents. 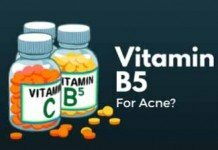 Besides anti-bacterials, Retinoids are drugs derived from Vitamin A that are used for acne treatment. Retinoids usually work on the phenomenon of exfoliation. Treatment for acne through topical anti-bacterials and retinoids is basically a six weeks’ course which might vary depending on the progress of the acne sufferer. Anti-bacterials work as antiseptics to reduce the number of bacteria on the skin which helps in reducing acne. They remove excess oil from your skin and prevent the pores from clogging. Anti-bacterials have anti-inflammatory effect that helps in clearing the whiteheads and blackheads from your skin. Topical retinoids shed dead skin cells from your skin layer and prevent them from building in your hair follicles. Retinoids possess anti-wrinkle properties as they trigger collagen production which provides a smoother skin to chronic acne sufferers. The time of application for both anti-bacterials and Retinoids is around 20 minutes so it doesn’t works as an instant formula cream. Both anti-bacterials and retinoids make your skin sensitive to UV rays so you avoid too much sunlight. They might cause dryness, irritation (burning or stinging sensation) and peeling of the skin. Topical retinoids are not suitable for use during pregnancy as they might cause birth defects and deformities. 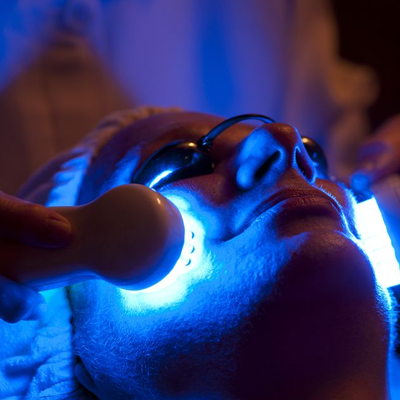 Blue Light Therapy is considered to be advancement in the treatment of stubborn acne. Blue Light Acne Treatment is notably different from other conventional methods of treatment for adult acne such as topical medications. The use of Blue Light therapy for adult acne treatment was approved by the Food and Drug Administration (FDA) in 2002 and is widely used for treating acne vulgaris. The phenomenon of Blue Light Therapy involves Ultra Violet rays that are collectively referred as the blue light. The intensity of these UV rays holds great tendency of killing acne-causing bacteria. When the acne-causing bacteria are present on the surface of the skin, they release porphyrins, which is a naturally occurring substance. Porphyrins when exposed to blue light of certain wavelength (usually ranging from 405nm-420nm) kill the bacteria present in your skin. Blue Light Therapy is performed with the help of a machine that is commercially available. The process involves the acne sufferer to sit for about 15 minutes in front of the machine, exposing the acne regions of the body. The frequency of sessions per week depends on the severity of your acne. Thus, it is recommended to consult your dermatologist regarding the frequency of the Blue Light Therapy Sessions. The production of Porphyrins in the skin due to the interaction of bacteria and blue light gives rise to increased oxygen in the sebaceous glands that naturally kills the bacteria. Unlike laser therapy, blue light therapy does not cause peeling and inflamed hair follicles and has very less side effects. Blue Light Therapy is a good option for you if you are cannot tolerate harsh glycolic peel orproducts for acne that contain Benzoyl Peroxide that dry and irritate your skin. Blue Light Therapy does not harm the fetus or infants therefore it is a feasible option for pregnant or nursing mothers. Since hand-held and portable machines are available that provide blue light therapy, this method is quite achievable, time-saving and cost-effective. Blue Light therapy is not suitable for all kinds of acne. The nodulocystic acne appears to be unresponsive to blue light and actually worsens in some cases. Blue light acne treatment might cause premature aging of the skin if continued for a longer period of time such as 2-3 years that also leads to an additional risk of skin cancer. This treatment session is very costly and fluctuates with the frequency of each proceeding session which will add up to a great expense. And many insurance companies do not consider this therapy as part of treatment so all the expense needs to be made from your pocket. Hand held devices for blue light therapy provide an entirely different concentration of blue light. Hence, it does not deliver the same results achieved from a hospital or session-based treatment. Birth Control Pills and oral contraceptives are often prescribed by the doctors for regulating the menstrual cycle, preventing pregnancy and to diminish acne. 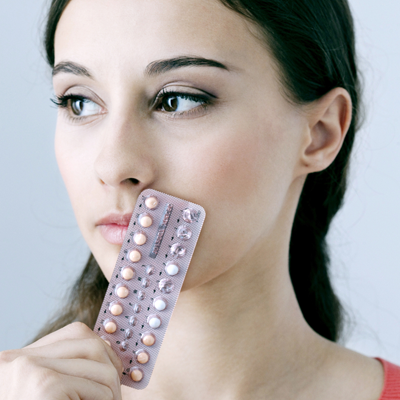 Oral contraceptives contain two synthetic hormones that the body naturally produces: estrogen and progesterone. If you are facing adult acne due to the imbalance of these two hormones, the birth control pills level your hormones. Increased oil production is common in women who have abundant androgen production. This production is highest before the occurrence of menstruation. 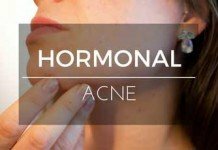 The excess presence of the hormone androgen causes the sebaceous glands to overproduce sebum that leads to acne. Oral contraceptives suppress high androgen and testosterone. The low-dosage use of birth control pills can be effective in treating acne and pimples as they decrease the amount of androgens present in the body. The Food and Drug Administration (FDA) has approved the low-dosage birth-control pills such as Ortho Tri-Cyclen and generic norgestimate/ethinyl estradiol for use in the acne treatment. Birth control pills control both inflammatory and non-inflammatory acne. And unlike topical medications and blue light therapy birth control pills are capable of curing moderate to severe acne. Birth control pills regulate the menstrual cycle and cause them to occur regularly, making it helpful for women who suffer from irregular menses. Women who suffer from hirsutism (excess facial and body hair) may notice lack in hair growth which is caused due to increased androgen and testosterone levels. Using contraceptive pills reduce the chances of ovarian cysts (fluid filled growth that develops in the ovary during ovulation). Birth control pills efficiently prevent anemia (iron deficiency) as they control the amount of blood flow during periods. Oral contraceptive pills are capable of providing against pelvic inflammatory diseases that can cause serious bacterial infections of the fallopian tubes and uterus. Women who consume birth control pills are at risk of developing blood clots (Venous thromboembolism) in legs or lungs. Studies consistently indicate that the risk of Venous thromboembolism is two to six times higher in oral contraceptive users than the non-users. Women who use oral contraceptives and suffer from migraines have increased risk of strokes than non-users who suffer from migraines. Birth Control Pills containing levonorgestrel and 30 mg of estrogen are the safest with regard to strokes. Consumption of oral contraceptives leads to weight gain that is often caused due to fat deposits in thighs, hips and breasts induced by estrogen stimulation or increased appetite. In rare cases, contraceptive pills can cause a skin condition caused Chloasma i.e. the darkening of the skin on the upper lip, cheeks, forehead or under the eyes. This condition might fade as you discontinue use or might be permanent. All the conventional methods for the treatment of blemishes must be used after proper consultation with both a dermatologist and a gynecologist because they can fairly recognize which mode of treatment will prove best in your case. 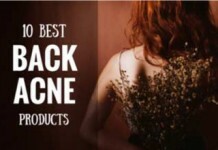 Do you agree that we were able to rightly pick these 10 options as the best acne treatments for adults? Have you used any of these options already? What was your experience? Do you have any other great mentions in mind?